a 250-acre outdoor learning center located on beautiful Bainbridge Island, Washington. 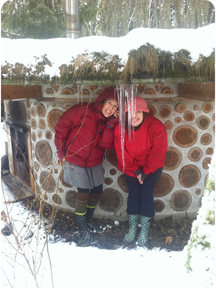 Tracy and Terilyn welcome you to join them for their Annual Winter Retreat, a magical weekend of nourishing yoga and deep inner exploration. This retreat will revolve around the setting of inspiring and lasting intentions as we cultivate and refine our understanding of Sankalpa. Winter is the ideal time of year to take pause, to turn inward and reflect on what seeds of intention we’d like to germinate in the seasons ahead, while also identifying and weeding out whatever blocks new growth. How often do we find ourselves creating New Year’s resolutions only to have our best intentions thwarted by old ingrained patterns of behavior? This weekend will be dedicated to uncovering our true Sankalpa — a resolve that resonates deeply with our inner wisdom and serves our highest potential — and finding realistic and practical ways to manifest Sankalpa in daily life. Our healing retreat begins with a grounding vinyasa practice on Friday evening at 4:00pm, and ends with a closing circle and lunch on Sunday. Price of retreat includes all classes, lodging, healthy and delicious meals featuring local, organic and sustainably sourced ingredients, and use of the facilities. During these three days we will enjoy yoga classes on Friday afternoon and evening, Saturday morning and evening, and Sunday morning (incorporating asana, yoga nidra, mantra, pranayama, and meditation). Morning classes will include more vigorous asana, afternoon and evening classes will be more restorative and introspective. We will support our self-inquiry with daily journaling, an art project, and a fireside ritual of letting go of the old to make way for the new on Saturday, interspersed with quiet times for reflection and relaxation. To register please stop by or call the Capitol Hill studio at 206.325.8221. All retreat payments must go through the Capitol Hill studio. Note: We will do our best to accommodate your rooming preference but cannot guarantee this. Most rooms have twin beds and all have private bathrooms. There are a limited number of single rooms available. Please specify any roommate preferences at registration; we cannot hold space for someone until a deposit is received. Please also let us know if your preference is for a shared double bed. If you select a quad you may be in a top bunk of a bunk bed. Also, if you sign up alone for a double, triple, or quad and we are not able to fill the room, you will need to pay the “forced single/double/triple” rate. We advise you to register soon as space is limited. To register you must pay a deposit of $200. Full payment is due December 2, 2019. Payment of any “forced” rates is due by December 13, 2019. 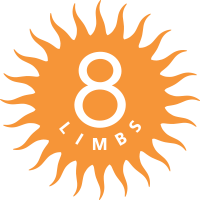 Make all checks out to 8 Limbs Yoga Centers. Cancellation policy: Refund of your payment, less a $50 cancellation fee per person until December 2, 2019. No refunds after December 2, 2019.